If this is a new term for your vocabulary then you’ve been missing out on some awesome times in your yoga sessions. Yoga wheels can enhance your whole exercise experience. Although it hasn’t been part of yoga since the start, there’s no question that you should have one of these. When used correctly they optimize what you get from a yoga session so you can reach your goals faster. Below we’ll explain what you’ve been missing out on and review some of the best yoga wheels you should consider acquiring. What Does a Yoga Wheel Do? It’s all about balance, right? A yoga wheel is a circular shaped accessory that looks simple, works simply and transforms a workout. 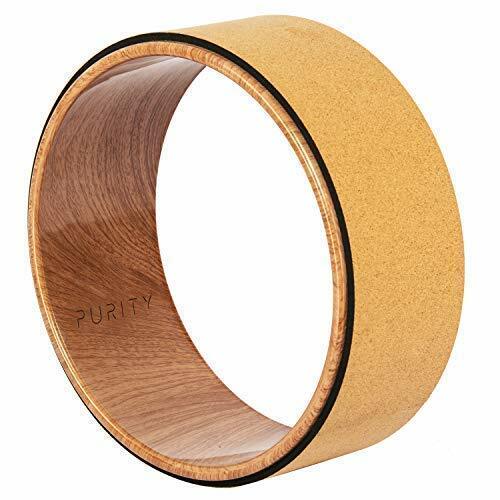 It can be made from a variety of substances such as wood or plastic. It’s round in shape and the ring is broad enough that you can get a firm grip on it or rest a foot or limb on it. Yoga wheels haven’t been around forever as they were created by Dharma Mittra who has been a part of yoga the past few decades. With its rising popularity, you’re bound to see more development in its design in future. 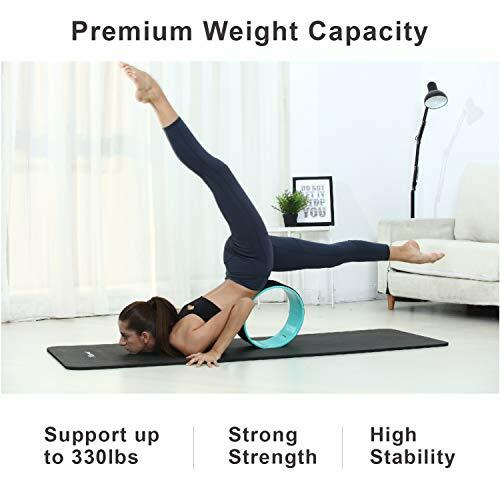 Technically, the yoga wheel won’t do anything. That’s what happens when you add a yoga wheel to your equipment. As you use it to perform certain yoga poses you’ll feel how it massages your muscles. This can help you heal faster from injuries or help a certain muscle relax. 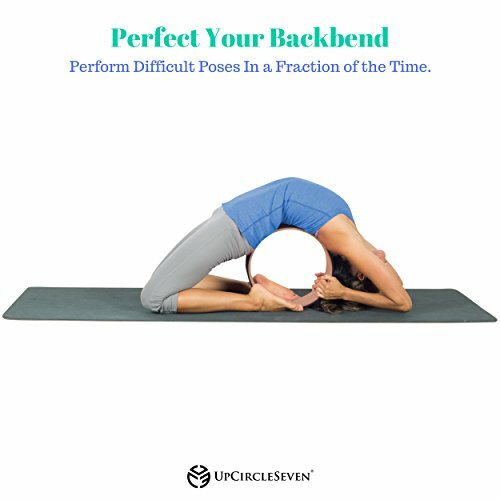 Have a look at the yoga wheel poses if you want some more insight. When you attempt these poses with your yoga wheel, it assists by stretching your muscles more so you perform better, faster. 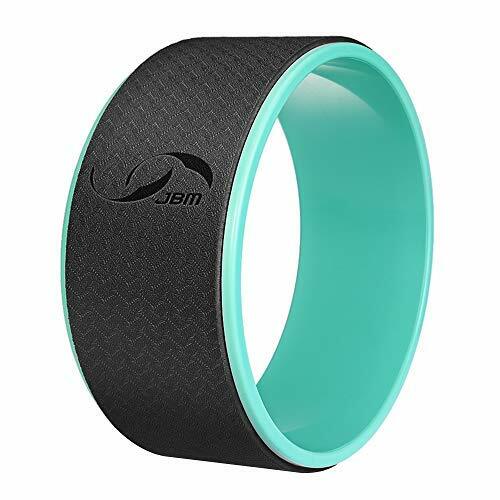 This circular shaped accessory looks simple but works effectively to get better results. This wheel helps you maintain your balance during a session because you can hold onto it or balance a limb on it if you’re not yet able to do it by yourself. This is especially helpful with inverted poses because the wheel becomes your counter balance. You’ll be able to handle more difficult poses with this wheel helping you balance. Pretty soon you’ll be able to do them on your own but this helps you get started. This is how you get a true shoulder opener. And here’s probably one of the best reasons to get one of these: Many users have reported their pain—especially back pain—disappearing after adding this to their normal yoga routines. The enhanced stretching, strength building and the support of the wheel can help you experience relief from pain in only a few weeks. Here are a few examples of poses to explain how this works. It’s worthwhile carrying this with you whenever you’re going to a session because it can be incorporated into so many exercises. For more in-depth discussions on this you can have a look at the Yoga Wheel Poses Article. But let’s list a few basic ones if you want to get started. Do you need some visuals to make this more clear? If you’re still trying to get the hang of yoga, this can actually be how you start advancing faster. It’s actually ironic that yoga wheels are less known even to yoga enthusiasts because it should be on your shopping list from the moment you consider joining a yoga group. And while it does this for beginners it can improve experts’ performance and strength too. Your build, height and exercise preferences are unique. You can imagine that if a wheel is supposed to offer balance to someone it must align with these preferences, otherwise it will throw someone off balance. That’s why you’ll find different sizes of wheels as mentioned above. The wheel must be big enough to allow appropriate flexing of your back and limbs. Very tall individuals often find a 15” wheel most comfortable to work with. Apart from your height, your flexibility also influences your selection. If you can bend down further or get into poses easier than your friends a large wheel such as the 15” will also be beneficial. A popular wheel is the 12” size. People between 5’4” and 5’10” often find these most appropriate. But remember to test them out first because if you’re more flexible, you may prefer a different one. And don’t forget that you’ll be picking up this wheel quite a lot. Don’t buy the heaviest one on the market; It may serve as a great anchor when it’s heavier but the weight can become bothersome. Alternative sizes range from 6” to 10”. This means that even children can add these accessories to their practices. It’s important to note that these smaller ones can’t be used for yoga certification purposes. A bonus with these small units is—if they do serve you well—you’ll be able to pop them into your gym bag. This means you can also take it with during travels so you don’t have to cut down on your routine just because you’re out of town. So are you ready to pick your new yoga accessory? We have listed the best ones below. This yoga wheel’s value is in the strength of the wheel and the comfort of the exterior padding. You can put up to 550 lbs. of weight or pressure on this and it won’t break. It won’t even flex which provides you with more stability. It’s made of PVC but the brand ensures that it’s non flexible and much stronger than similar substances you’ll come across in yoga products.It’s also available in five different designs so you can get one that matches your exercise equipment. This wheel measures 12.6” x 5” and it weighs 2.86 lbs. Plus, it can handle 440lb which isn’t the best on the market but still impressive. 2 The brand provides guidelines to use it in an eBook. Here you have one of the larger models as this is a 13” yoga wheel. 3 It weighs in at 3.7lbs., which is a bit on the heavy side. 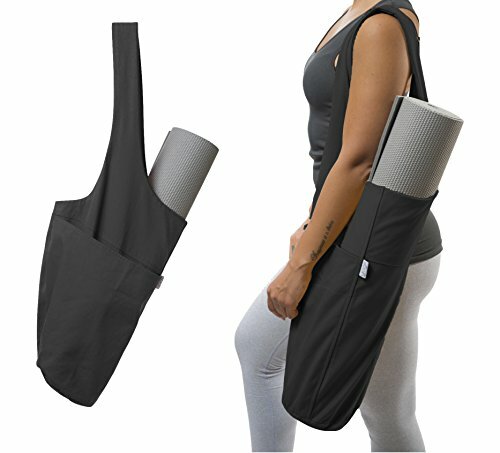 This, and its size, makes it more appropriate for tall, strong individuals and probably more advanced yoga enthusiasts. 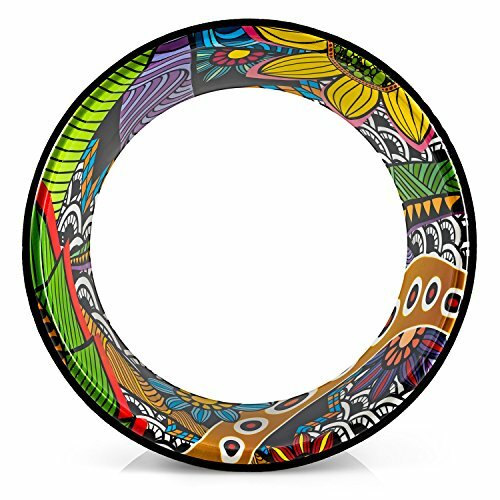 This wheel measures 12” x 5” and comes in a range of colorful designs. You can choose one that suits your personal style. Can only handle 300 lbs. The Purity Wave Pro is another wheel with exceptional strength as you can load up to 550lb on this one and it won’t break. It’s made of strong ABS plastic which is known for its durability. Note that this is one of the heavier products on this list as it weighs over 3 lbs. We love the REEHUT yoga wheel since its size accommodates most people and it falls into an affordable price range. Anyone can improve their yoga sessions now. It’s also strong enough to support a lot of weight. Best of all is that it’s so light so its strength doesn’t turn it into an uncomfortable accessory to handle. Yes, there are wheels that can handle even more weight, but that’s not the only feature that determines efficacy. This is also one of the brands that help novices become experts since REEHUT provides guidelines in a handy eBook. 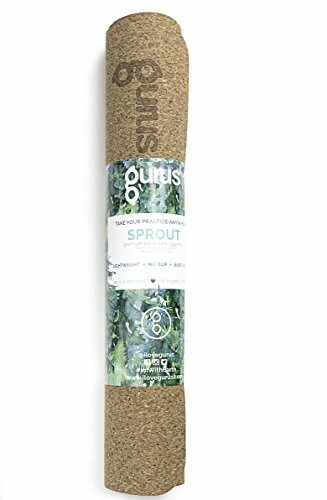 Pretty soon all yoga supporters will carry one of these when they enter the gym and with the speedy growth of this trend, it may become a prerequisite before joining a class. That’s not a bad thing because these wheels transform your training for the better. So be one step ahead and get yours so you’re ready when the next class starts. This web site is really a walk-through for all of the info you wanted about this and didnt know who to ask. Glimpse here, and youll definitely discover it.